Miami’s original neighborhood, founded in 1873 by an eclectic mix of pioneers, artists, intellectuals and adventurers; the tropical oasis of Coconut Grove. Catering thrives to this day as Miami’s escape from the stress of city life. Coconut Grove is located in the middle of Miami, yet is completely separate and quaint. It offers a warm, laid-back atmosphere of charming boutiques, sidewalk cafes and sailboats anchored at the bay. The neighborhood’s distinct bohemian flair allows one to unwind and relax every day of the week and any time of the year. Featuring many beautiful waterfront parks and event venues, Coconut Grove is the perfect place to cater your next event or wedding. For spectacular and catering elegant weddings, as well as luxurious or casual corporate events in Coconut Grove, we have the experience needed to make your corporate event or wedding unforgettable. Vizcaya Miami , with it’s expansive views of Biscayne Bay, has been described as “the finest private house ever built in America,” “a jewel among Miami’s skyscrapers and subdivisions,” and “some Noah’s Ark of decorative arts,” its exteriors offering the “manic tranquility of the great European folly gardens.” Most of us who know Vizcaya well embrace this place for both its serious significance and its eccentric charm. There’s a reason why it’s one of the country’s most desired wedding venues! From glamorous photos to grand weddings and celebrations…to luxury corporate events, The Cruz Building, offers you the perfect storybook setting. The glamorous 3-level venue is adorned with soaring atrium ceilings, monumental stained-glass windows, majestic marble staircases for grand entrances, European and French/New Orleans architectural antiques, romantic interior balconies and sweeping outdoor terraces—all romantically illuminated by interior gas flame lanterns and glistening antique crystal chandeliers, and a catering kitchen. The Coconut Grove Sailing Club is a private membership club, mooring field, and sailing instructional center nestled on Miami's majestic Biscayne Bay. 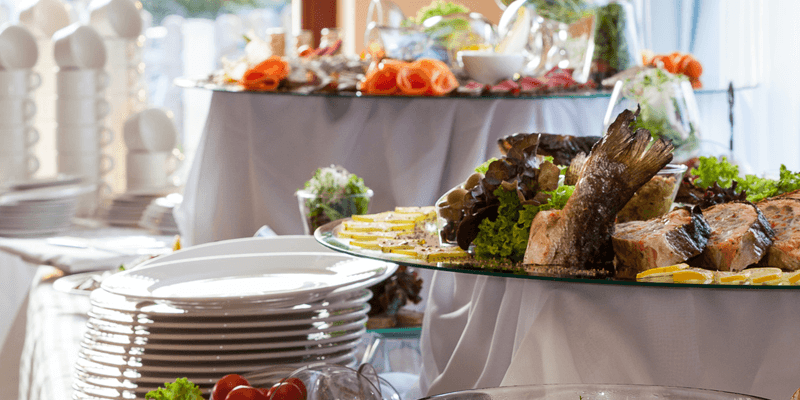 The unobstructed bay views and casual but refined setting make it the perfect destination for catering weddings or corporate events in Coconut Grove. Bottle and Bottega offers a unique paint and wine party experience in Miami by providing fun private party and event services. If you want something different that will make for unforgettable and interactive memories, this is the venue for you. David Kennedy Park is located in Coconut Grove, right on the water with a view of the open bay. Amenities include a free outdoor gym, a running path on an outdoor track, a dog park, beach volleyball and a kid’s area. There are wooden docks open to the public to hangout on, with a view of the bay and a great breeze. Kenndy Park is great for bbq catering events. The Barnacle Historic State Park is a beautiful house with a whimsical name that dates to a simpler time. The Barnacle, built in 1891, offers a glimpse of frontier life during “The Era of the Bay”, when all travel to and from Miami was by boat. Situated on the shore of Biscayne Bay, this was the home of Ralph Middleton Munroe, one of Coconut Grove's most charming and influential pioneers. Munroe preserved the forest on his land, cutting out only a winding buggy trail through the hammock—barely wide enough for one vehicle. As a result, the property contains many large, old trees. Left in its natural state, The Barnacle Historic State Park appears much as it did in Munroe's day, complete with replicas of two of his sailboats: Egret, a 28-foot (8.5m) sharpie ketch, designed in 1886, and the Flying Proa, designed in 1898. It is a great place to enjoy simple pleasures: A tour with new or old friends; a picnic on the lawn; walking with the family dog down a tree-lined path; or just rocking in a chair on the spacious front porch and watching the sailboats go by.